For easy publishing your videos, you can use the functional - pages. 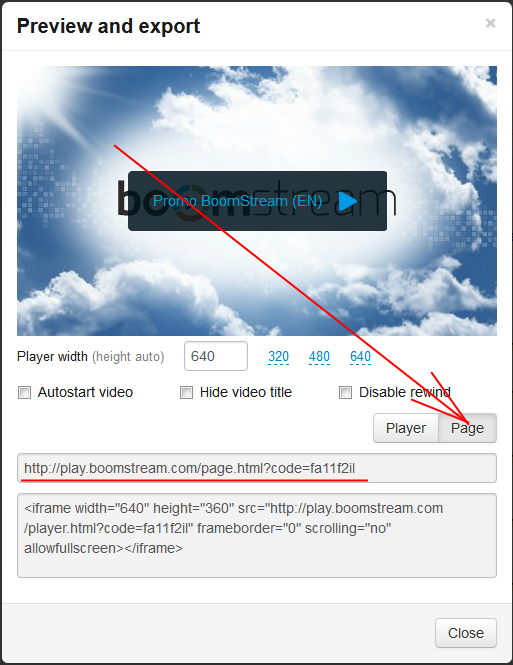 This feature allows you to share a link to the page with the video player via email or social network, customize the appearance, to download the original, leave a comment or rating. To connect the pages, you need to activate and configure this option in the project settings. Attention! This option is disabled by default.